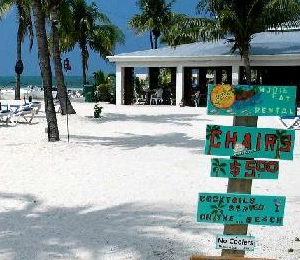 There is no tour in Key West quite like the Snuba tour. Snuba is the innovative and eye-opening activity that combines snorkeling and scuba diving, giving participants the chance to explore the coral reef at greater depths than snorkeling, but without the certifications required for scuba diving. Anyone who is a decent swimmer and comfortable in the water is eligible to participate in snuba. The technique is simple and the rewards are many! 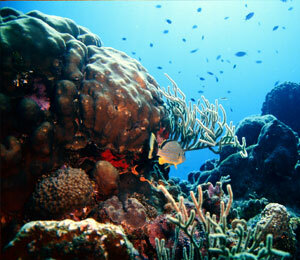 Surrounding the small southernmost island of Key West are dozens of thriving coral reef ecosystems. These underwater worlds are like mini cities for marine creatures, offering a diverse habitat for all kinds of species ranging from reef fish to spiny lobster to turtles and even eels. 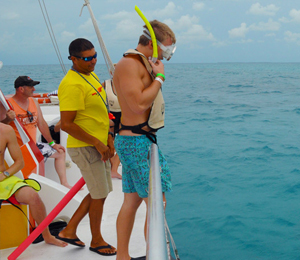 You never know what you might see as you explore the Key West coral reefs. With the Key West snuba dive trips, you and your friends get the chance to get even closer to the fascinating coral reef ecosystems. The professional and friendly crew on board our Snuba trips will provide all instruction on how to utilize the snuba gear effectively. Before you know it, you will be swimming some 12 to 15 feet under the surface of the water, swimming among the fascinating and curious world of the coral reefs. Snuba is quickly becoming one of the most popular activities in Key West, and you will soon get the chance to find out why. 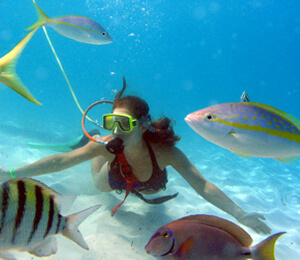 Snuba is an easy and fun way to venture into the undersea environment off the coast of Key West, Florida. You can dive up to twenty feet below the water's surface using our breathing tube, which is a long hose that connects to an air supply on a raft above.